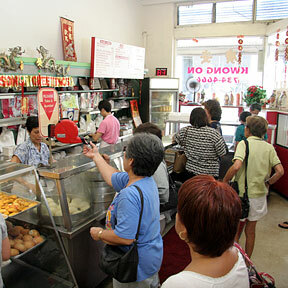 TAKE A NUMBER: After 41 years of business in the same spot in Kaimuki, Kwong On bakery and noodle shop will close next month. "I'm tired, very tired," said William Chin, 75, who will retire with wife and co-owner Chun Tsui Chin. "But I love this place. I'll miss all the customers."